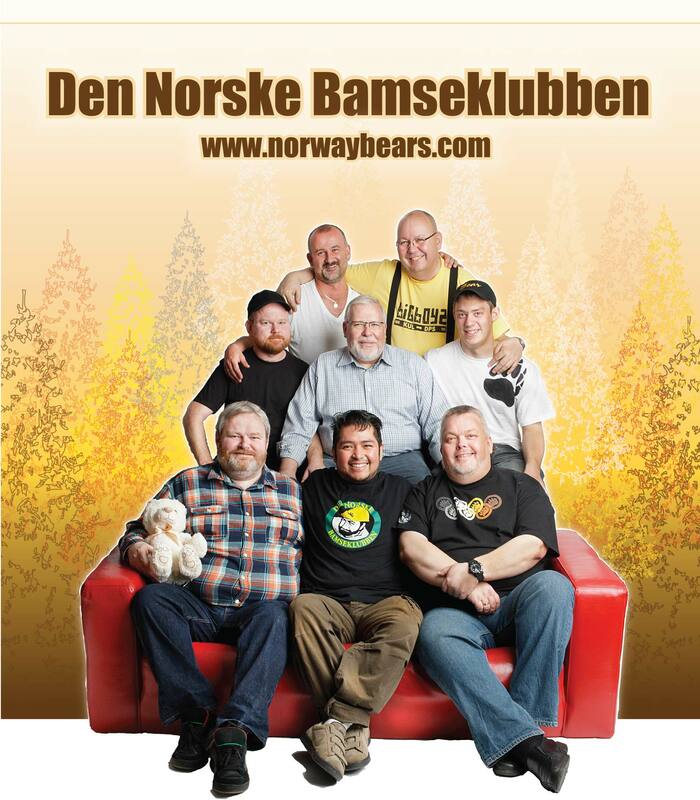 Norway Bears (Den Norske Bamseklubben) seeks to provide a setting in which gay men of all ages can meet, establish social networks, enjoy each other’s company, and have fun together. Norway Bears has grown into a sizeable organization with members of all ages who come in all shapes and sizes. Norway Bears is part of a greater international movement, which, both in Norway and elsewhere in the world, includes men who define themselves as bears, chubbies, cubs, and chasers. It is not uncommon for our members to be in so-called age gap relationships, or that men in one age group seek a partner in a different age group—daddies and admirers. In Norway Bears, the guiding principle has always been that all that define themselves as men are welcome as long as they share the organization’s ideals of inclusiveness, caring, and social engagement. We both cultivate and take pride in our masculinity. Acceptance of each other as we are, and not what some people think we should be, is an important ingredient in our club concept. Norway Bears is a local organization based in Oslo, where most of our activities take place. Our members, however, come from all areas of Norway. Norway Bears also has close ties with similar organizations in Stockholm, Gothenburg, Copenhagen, and elsewhere. Norway Bears arranges regular gatherings and parties in Oslo. There are events open to the general public, as well as members-only events. Bear pubs are held the last Friday of each month in a local pub. A couple of times a year, several events are scheduled to take place on the same weekend so that out-of-town members can attend more than a single event. Social networks established through events sponsored by Norway Bears often take root elsewhere in Norway and sometimes result in new circles of friends and even structured groups, as has been the case in both Hedmark and southern Norway (Sørlandet). Norway Bears has its own culture group that arranges attendance at theater performances and other cultural events. Tours within Norway or abroad are also arranged from time to time. An electronic newsletter is sent on a regular basis to all members. Local chapters organize their own activities. Norway Bears has as its goal to contribute to the well-being of as many gay men as possible, and wishes new members welcome who are also open and accepting. Should you wish to contact us, or know of anyone who might wish to contact Norway Bears, please contact us using our feedback form or send an e-mail to webmaster@norwaybears.com. I love that I found one of your t-shirts in my local thrift store. I live in Minnesota and I have lots of Norwegian & Swedish bloodline. I have never been to Oslo & I cannot be considered as a group member, according to your design. I am a grandma. My grandkids call me “Nana”. I want you to know that, no matter my age or gender, I will be wearing your big, red, Norway Bears, t-shirt with pride. I think you guys are adorable and I love where you stand and what you represent. It takes courage, integrity, tenacity, & determination, ( not to mention, lots of hair products & fuzz). Besides, your t-shirt mentioned, “Pretty Butch”. I am far from considered “Butch”. However, behind my make-up, sundresses, & big purse, is my Nana secret..and we are not talking about my famous family recipie for meatballs. No. This old woman is single. Without a spouse. No husband. But, I’m not sad…cuz I’m to busy starring at Pretty Butches! I am a lesbian grandma. One day, it will be time to come out to my four little granddaughters and, when I do, I will be wearing my big, red, Norway Teddy Bear t-shirt, to remind me of the courage it takes to be who you truly are and deserving of the same love we all require to thrive, in the manner that we choose to give and receive it. So, from me in Minnesota, to you in Oslo…GO BEARS! !